The celebrity parents without their celebutot. 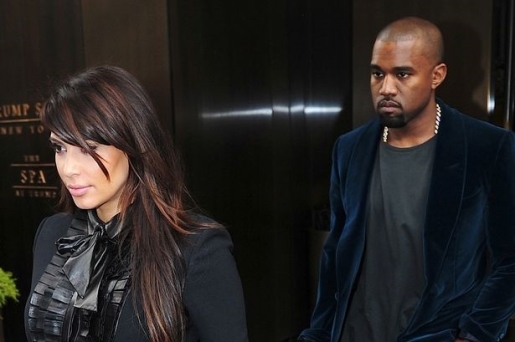 Now that Baby Kimye is here, all the world wants to know is what the parents have decided to name their new child. So far, nobody knows what the baby looks like or what to call it. However, it appears that an employee at Cedars Sinai in Los Angeles has decided to let the secret slip before Kim could announce it on her television show. Kim Kardashian and Kanye West’s baby name may be Kaidence Donda West. Truthfully, it fits the family and if it’s not the real thing, it’s a great approximation. Kim sneaks in a K for the baby’s first name, as well as a weird spelling of a traditional first name, while Kanye gets to pick the child’s middle name. Donda would be in honor of Kanye’s late mother, Dr. Donda West. Another hinted name–this time from a family insider–is Kai Georgia Donda West, with Georgia being in honor of Kim’s late father George. Of course, no one will know the baby’s official name until we get an official announcement, probably on the pages of US Weekly or on The Tonight Show.